Glendalough is an area of great natural beauty and is also the site of an important Early Medieval settlement founded by St Kevin. The valley, which contains the Upper and Lower lakes was formed during the last ice age by a glacier which left a moraine across the valley mouth. The Poulanass river, which plunges into the valley from the south, created a delta, which eventually divided the original lake in two. The exit of the Poulnass river can be seen in the background. 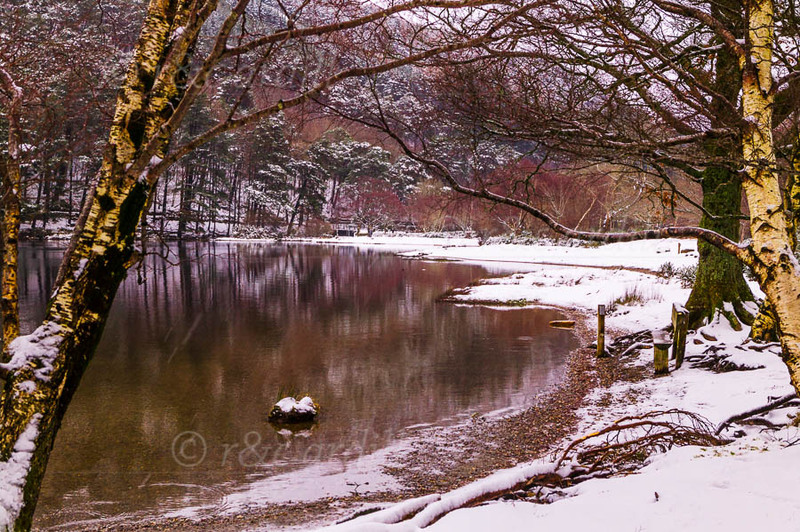 As Glendalough is at quite a high elevation, the area is often under snow in the winter.